Twilight Monopoly. 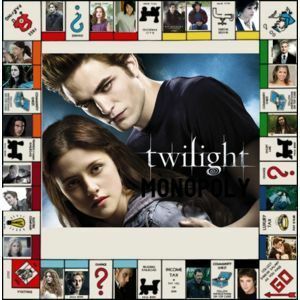 팬 made Twilight Monopoly board. Wallpaper and background images in the 해리 포터 대 트와일라잇 club tagged: twilight series monopoly. This 해리 포터 대 트와일라잇 fan art might contain 신문 용지, 잡지, 타블로이드, 걸레, 신문, 종이, 타블로 이드, 걸 레, 애니메이션, 만화, 만화책, 초상화, 얼굴, 근접 촬영, 얼굴 만, 세로, and 헤드샷.